I’ve been tracking the amount of traffic coming to The Loop from people using Mac OS X 10.7 since about February 2010 and while it has risen significantly, I don’t think we’ll see much of it at Apple’s Worldwide Developers Conference. 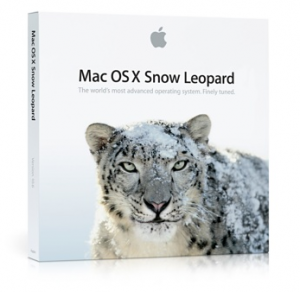 Mac OS X 10.7 is Apple’s next generation operating system and will replace the current 10.6 Snow Leopard. Clearly the engineers inside Apple are using 10.7, but I believe it is still in its early stages. The development of 10.7 is going slower than previous releases of Mac OS X because Apple has moved some of its engineers from the operating system to coding for the iPhone OS. This isn’t a bad move for Apple considering where the focus is right now and it certainly doesn’t mean they are putting the OS on the back burner — it’s just a matter of timing and priorities. Apple CEO Steve Jobs may show a few new features of 10.7 during his keynote, but that will be more of a way to show developers and users that they haven’t forgotten about the Mac. Still, don’t expect too much. Daring Fireball’s John Gruber heard the same thing and also doesn’t expect much news at WWDC about Mac OS X 10.7. I’m not the only one seeing 10.7 show up in server logs. Both MacRumors and TechCrunch have reported seeing the new operating system as well.